The Village Potters is pleased to announce the return of children’s programming with ‘Get Your Hands Dirty, Junior’. This limited edition series includes one-day workshops and three-week camps that include specific projects that will be made from start to finish. Three-hour workshops will be offered on Saturdays from 9am-12pm on April 30 and May 28, and include clay, tools, glazing, and firing for $75 per student. The Get Your Hands Dirty Junior Camp will meet 3-5:30PM on Mondays and Wednesdays for three consecutive weeks in June and July, and will include three separate projects. 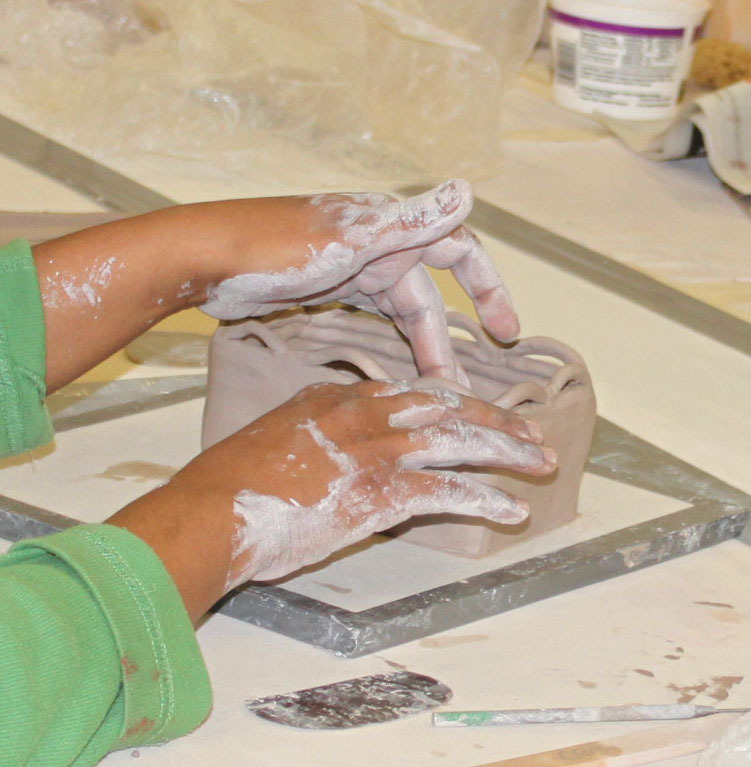 All clay, tools, glazing, and firings are included for $195 per student. Projects include building slab mirrors that will incorporate found objects, Rainbow Fish wall hangings, and piggy banks. Both the workshops and the camp will be taught by Hannah McGeehe, a graduate of Dartmouth College in New Hampshire who loves to sculpt things, play outdoors, and play with clay – a perfect guide for the junior clay enthusiast. Get Your Hands Dirty, Junior is for ages 8-12, and advance registration is required as class sizes are limited. 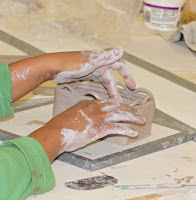 For a full description of classes and dates, visit thevillagepotters.com/get-your-hands-dirty-junior-edition/. To register, call The Village Potters at 828-253-2424. The Village Potters are Sarah Wells Rolland, Judi Harwood, Melanie Robertson, Lori Theriault, Karen Dubois, and Dearing Davis. They comprise an intentional Collective of potters who share a commitment to nurturing each other’s success. They have a fully equipped Pottery housing each of their working professional studios, and The Village Potters includes three showrooms exhibiting and selling their fine, contemporary ceramic art. The Village Potters Teaching Center offers ongoing classes for beginning and intermediate adults, with scheduled demonstration and hands-on workshops. The Independent Study and Mentoring Studio offers a directed mentorship program for the developing potter in a non-traditional/relational experience to help hone skills, and if desired, move into a career with a thorough understanding of business in the arts.